Badminton competition, training, social, practice in Melbourne South East suburbs. 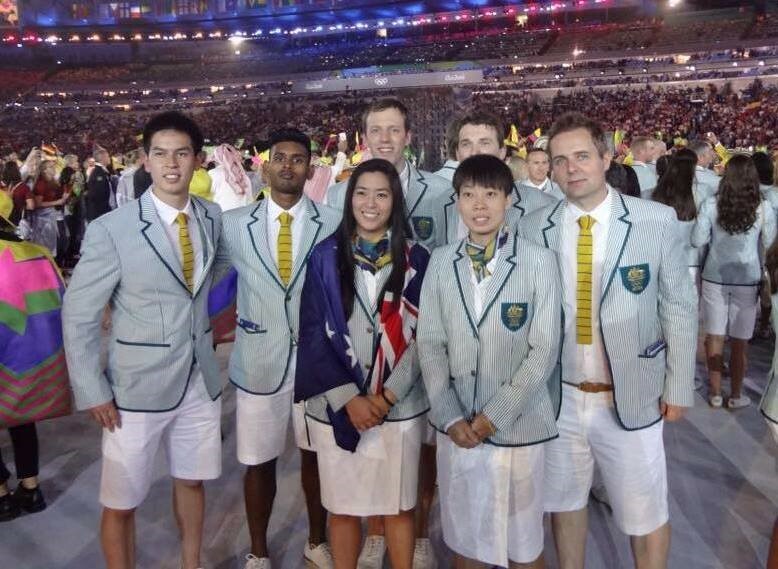 Oceania is proud to be represented by (back) Matthew Chau, Sawan Serasinghe, Robin Middleton, Glen Wharfe (Coach), Lasse Bundegaard (Team Leader) and (front) Leanne Choo and Wendy Chen as part of the Australian Team. We are also well represented by Technical Officials with Jane Wheatley (Deputy Referee), Kelly Hoare and Trish Gubb (Umpires) and Sandra David and Greg Busch (Line Judges). Our best wishes to all for a successful Olympics! Copyright © 2019 South East Badminton Association (SEBA). Powered by WordPress. Theme: Accelerate by ThemeGrill.